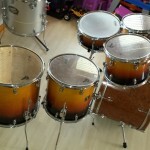 It’s no secret that I need a lot more practice to hone my modest drumming skills. 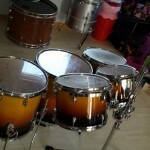 Thus, it’s handy to have a little practice kit around the house. 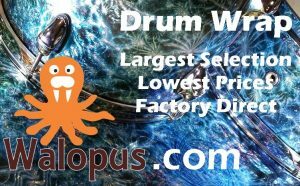 It’s also no secret, particularly among my neighbours, that here at CompactDrums.com, we like to jam….. often… Ideally, I’d have various drum kits, set up in different areas of the home for different purposes. Real life doesn’t seem to work like that though. 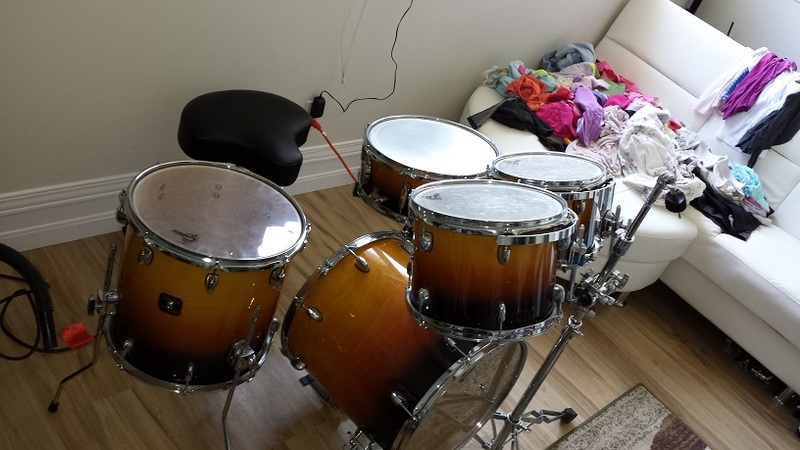 Living in a modest urban house with a growing family leaves little space for multiple drum kits. 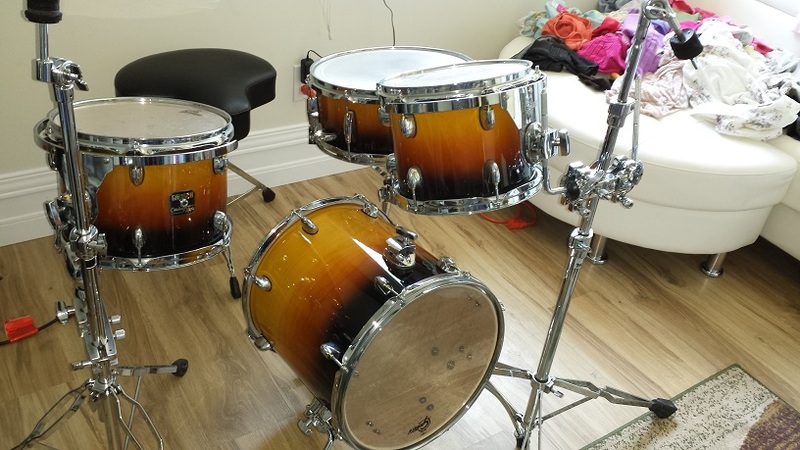 A convertible drum kit becomes the most acceptable compromise. 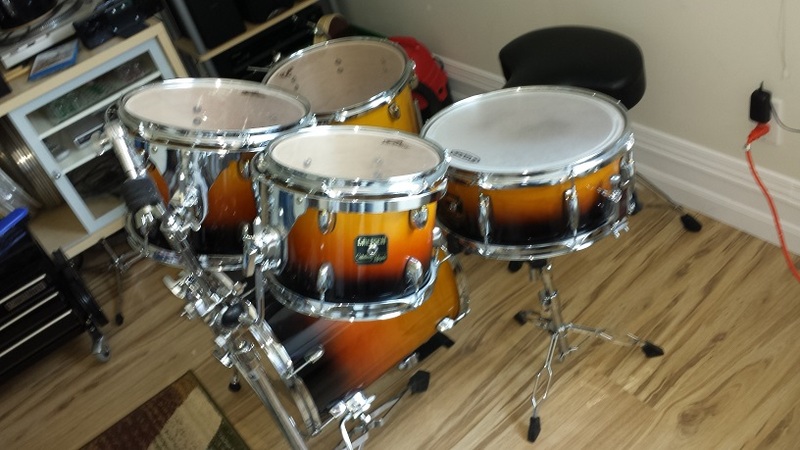 I acquired this Gretsch Catalina Maple as the 5-piece, 16″ Bass pictured top left and eventually added the 22″ bass and the ability to morph into three additional modes. 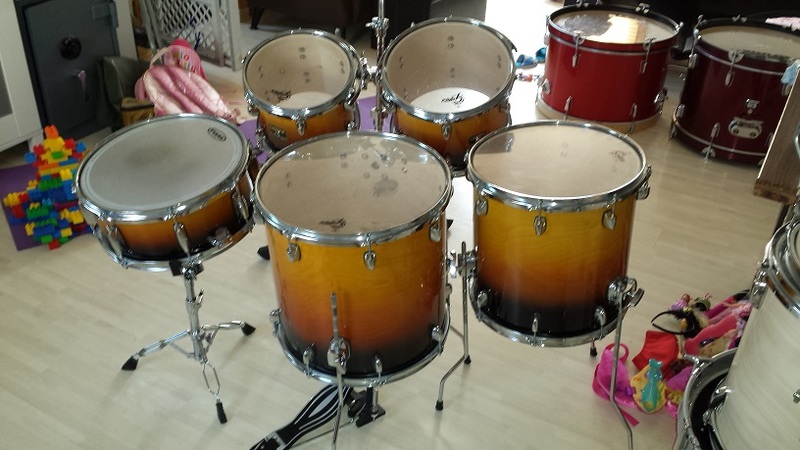 This mode is how the kit was set up by the previous owner. 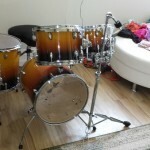 It came to me with a permanently installed tom mounting bracket on the 16″ floor tom and a Pearl JG16 (Jungle Gig) floor-tom-to-bass-drum conversion kit. 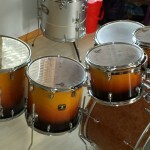 I replaced the straight-angled spurs that came with the JG16 with the more aesthetically pleasing Ludwig style spurs pictured and set it up as a practice kit. 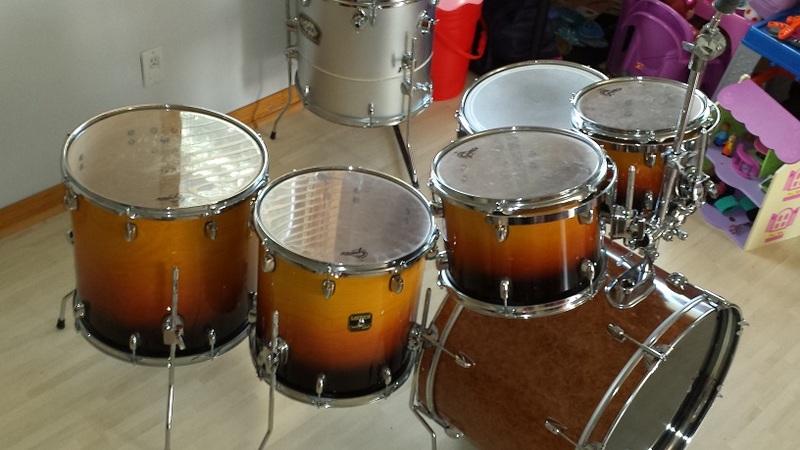 Mostly I have it set up as a 4-piece in this mode, omitting the 12″ tom all together. 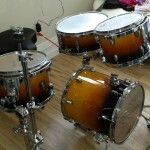 Sometimes with a PDP 805 10″ Side snare (Reviewed here) instead of the full size Gretsch pictured. 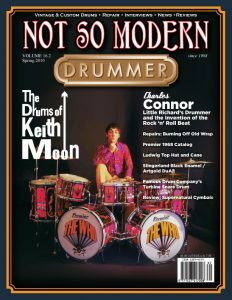 Other times with the 12″ tom instead of the 14″ floor tom. 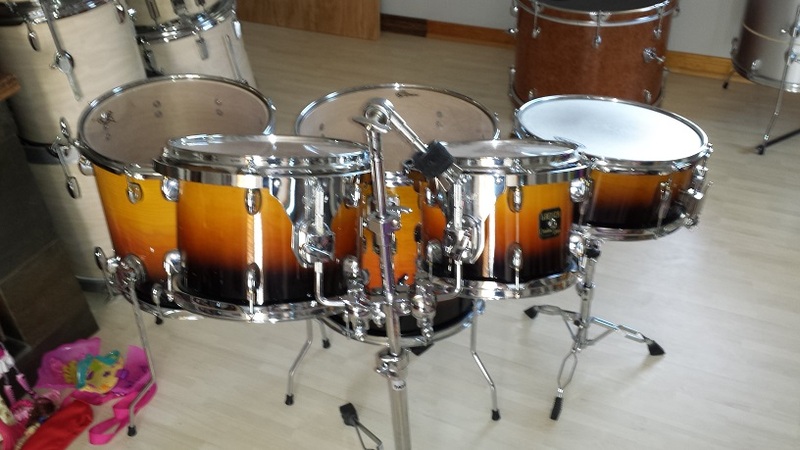 As mentioned in another article, I’ve wanted a Sonor Martini for a long time. 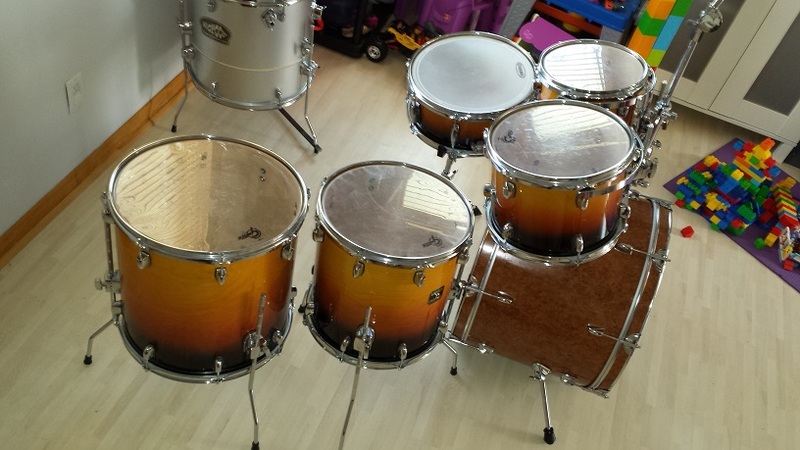 I find the idea of an ultra-compact practice kit with a 14″ bass drum highly appealing. With the addition of a Pearl I.S.S. 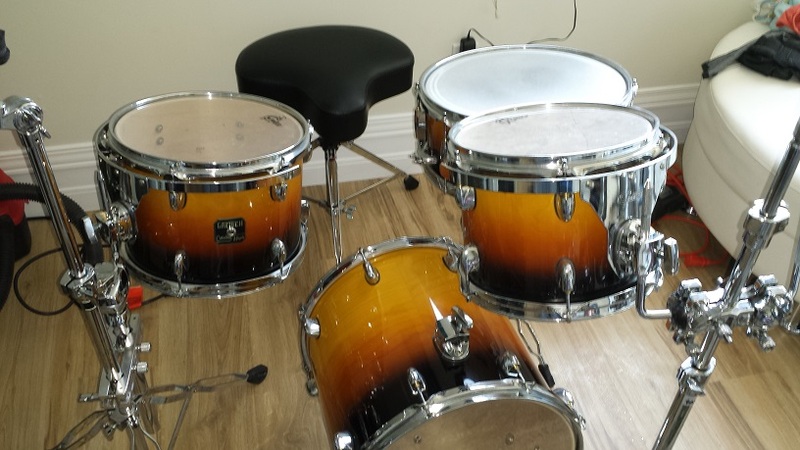 mount my Gretsch Catalina Maple quickly acquired an additional mode; The Four Piece, 14″ Bass Drum Mode. (A closer “copy cat” of the Martini has since been conceived.) 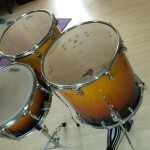 as with mode one, I often substitute the Gretsch snare with the little PDP 805, 10″. 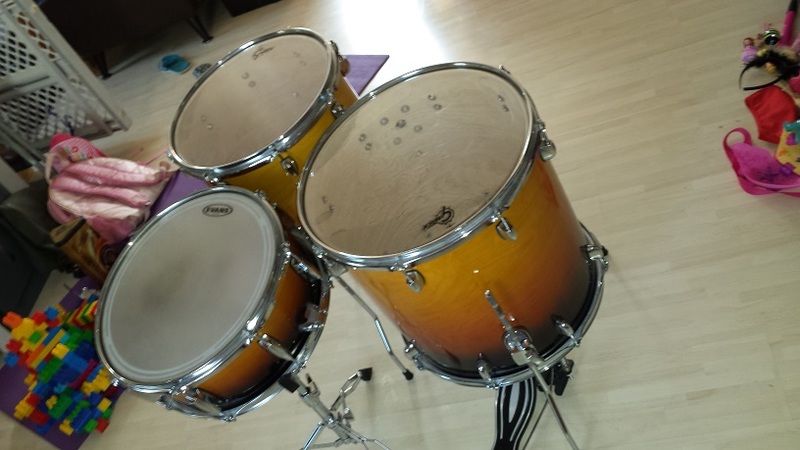 Not wanting to switch heads every time the kit morphs, I settle for simply tuning both heads on the 14″ floor tom as low as they’ll go without flopping. 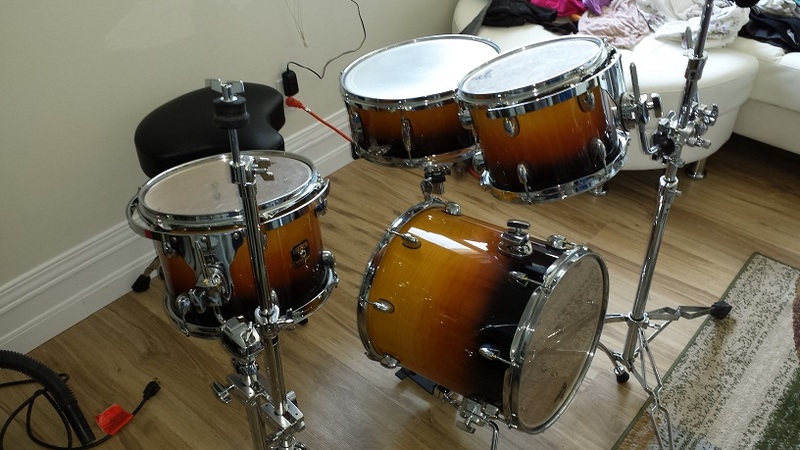 A great way to bring a drum kit for jamming elsewhere. 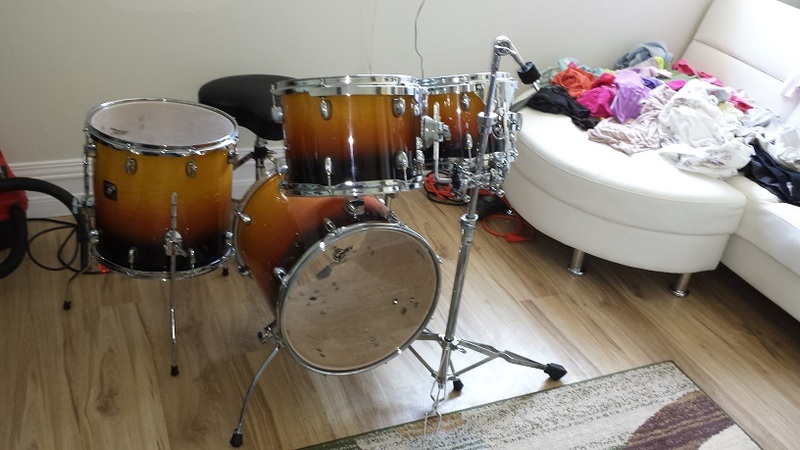 With the addition of a DIY Cocktail pedal, and a steel bar originally designed for our DIY Cocktail Drum Kit, our Catalina Maple is easily carried and jammed into my little hatchback. 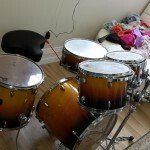 The tom mounting clamp on the 16″ floor tom could double as a mount for the snare, or one of the rack toms, but I find it just as easy to just bring the 14″ floor tom and the snare stand. 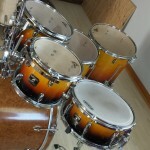 A bonus of the Catalina Maple is it’s extensive tuning range. 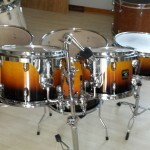 The 14″ can be tuned quite high just as the rack toms can be tuned very low. Not really a mode that gets much use, but rather more to illustrate the option. 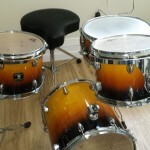 A friend of mine did once gig with the kit set up like this and received numerous comments on how cool it looked. Practically though, it’s not really more portable than the whole rig and barely takes up less floor space. 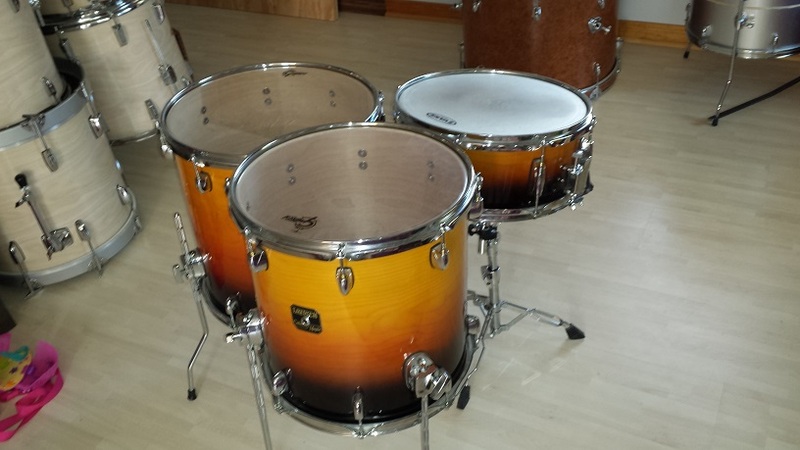 The tobacco burst finish really lends itself to this set-up purely visually. 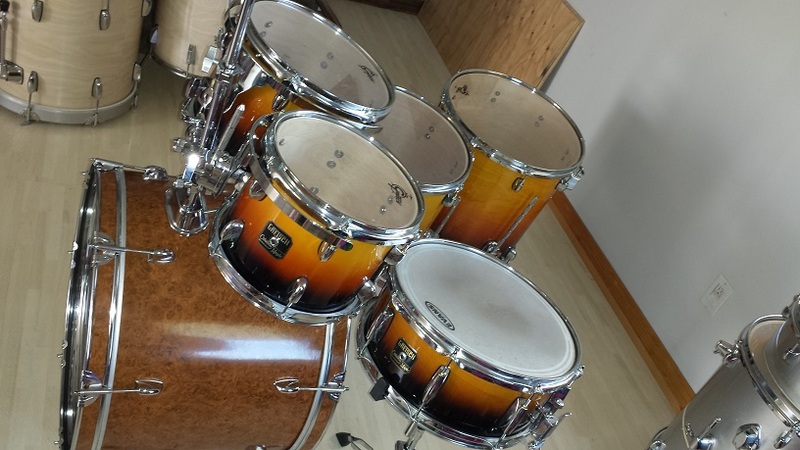 It’s like the finish flows through the entire kit. It is also a blast to play with a seating position just a tad higher than usual. 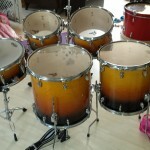 Cymbals can be placed in a neat semi-circle all around the perimeter of the kit. 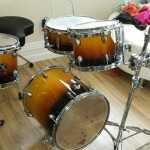 A 22″ Gretsch bass drum of unknown series, but not made out of maple, received a silver coloured sealer on the inside and a faux burl veneer on the outside. 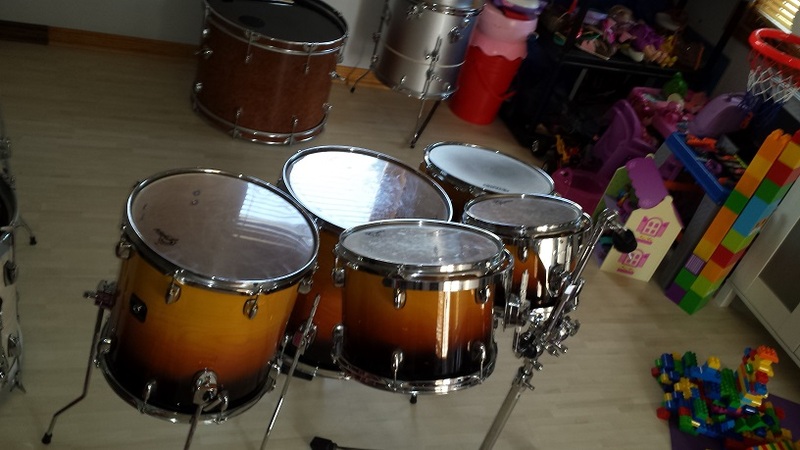 Sonically it blends right in with the others and I think it works OK visually. 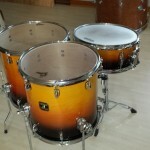 A Bass drum from the same series would have been ideal but is not easily, or affordably source-able. 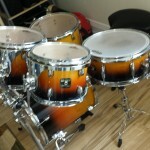 This is the most common setup when jamming with my former work mates as they like to compete volume-wise.